I just started a line of organic coffee oil products called: Skin Cafe`. Coffee oil, applied topically, has been shown to reduce the appearance of cellulite and, well, as I said before, when someone (me in this case!) 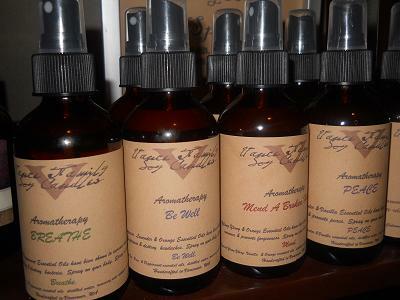 comes up with a malady, I research for a natural remedy and make it! I let my children and their friends paint my car. They did an awesome job! I support an orphan in Campeche, MX and another in Nicaragua. I am saving up money so my family and I can go meet with them first hand! Can't wait! I made a paper mache skeleton (with every single bone accounted for!) when I was 9 yrs. old and buried it in our yard. I then invited friends over to play and convinced them we should dig. What I thought was hilarious turned out to be a life long nightmare for others! I have always crafted. If I see something I like I instantly think, " I can make that!" and set out to do just that. 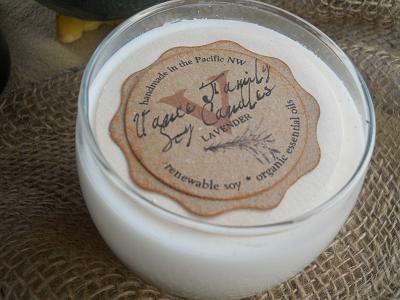 I make soy candles and body products with organic ingredients because I am allergic to synthetic fragrance. Once I learned about the toxic, insane chemicals put in candles (even "natural" soy candles) and body products, I went shopping for JUST THE GOOD STUFF. Well, that was a LOT harder than I thought it would be! 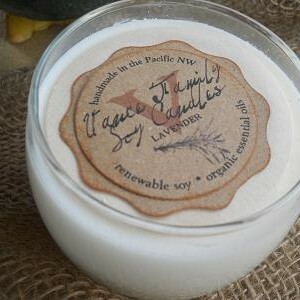 Soy candles and organic body products still had synthetic, phalate-full, toxic, paraben based fragrance in them as well as sulfates, urea, parfum & alcohol in the body products. So, being as I am, I said "I can do better than that!" 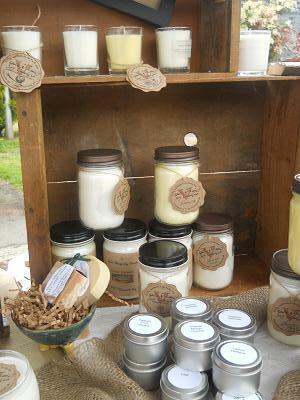 And Vance Family Soy Candles (and natural body products) began! Every once in a while, friends and family come up with a malady and I research and fix it! 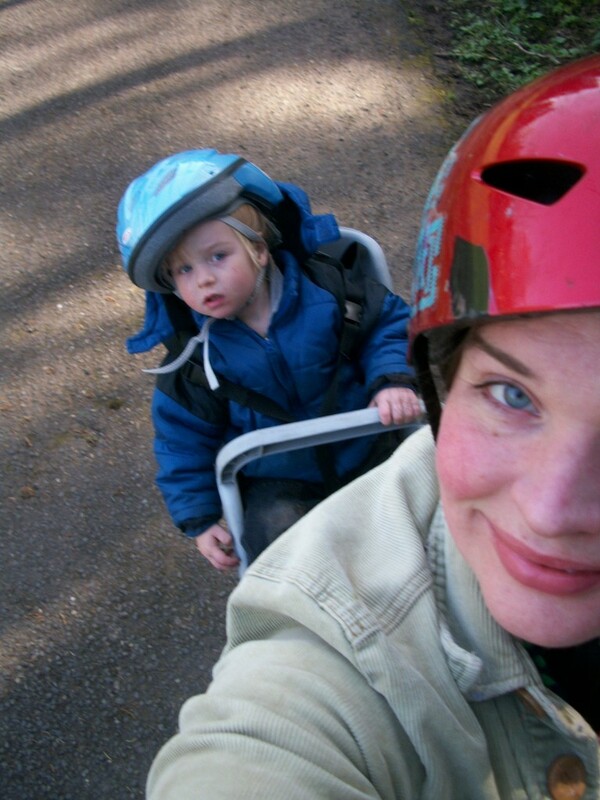 My son had psoriasis, which the doctor prescribed steroids for, so I made my Miraculous Skin Butter and it healed within hours! My father-in-law was bald and scaly and started using my Miraculous Skin Butter for baby on his head and, not only is his skin soft and supple, but he is regrowing hair! Last year, in order to encourage other artisans & artists to persue their crafts, I started Handmade Local Market (www.handmadelocalmarket.com). The purpose of the market is for artists to be able to be creative & sell their wares without breaking the bank. Many of the artists have just begun crafting because they lost their jobs and are trying to make ends meet. I want people to know that they CAN enjoy their "jobs" and that crafting doesn't have to be "just a hobby". Seeing the joy on crafters faces when they create their work (and sell it!) is very fulfilling. I am currently in the process of making the market a non-profit organization. I also get everyone together to split costs for trade shows and large fairs that most artists can't afford on their own (especially when you are out of work and just starting up!). We will be attending the Seattle Gift Show in August and I really hope everyone does really well! Currently, I have created a special candle called "BELIEVE" as a fundraiser for a wonderful woman who has cancer and am always on the lookout for those in need. 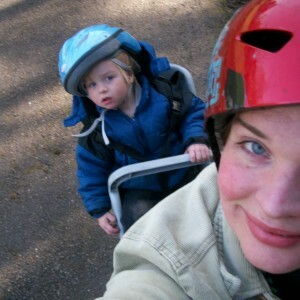 I love being a good example to my children and showing them that they are capable of doing just about anything humanly possible. This is also something that I have found, quite accidently, to be a need to many of the artists in my market. It astounds me how many talented, good people are afraid or feel uncapable of great things. Less than a year ago, my husband decided that bachelorhood would be more fun than "being tied down" so he left me and our 3 amazing boys. He soon realized that, while more relaxing for sure, bachelorhood holds none of the fulfillment and joy that fatherhood and marriage does and begged for forgiveness. However, he couldn't come back unit he stopped his affair with the bottle and got counseling. Meanwhile, I thought I would be the sole "bread winner" and threw myself full force into my business. I have never taken a loan for my business and don't use credit so every step I take forward has meant lots of sacrificing and creativity. I hope that my creativity and encouragement will inspire many and change lives for the better. My children. Life. People. God. Love. I just started a line of organic coffee oil products called: Skin Cafe`. Coffee oil, applied topically, has been shown to reduce the appearance of cellulite and, well, as I said before, when someone (me in this case!) 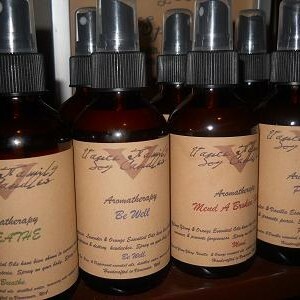 comes up with a malady, I research for a natural remedy and make it! It is not yet available for sale because it is still going through the testing stage but WOW! does it ever smell amazing! I love the smell of fresh coffee in the morning and that is exactly what my Skin Cafe` Exfoliating Scrub, Body Butter & Rockin' Vegan Lip Balm w/ coffee oil smell like, only better! 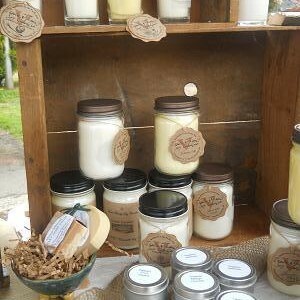 I sell online, at my Handmade Local Market, at my little boutique shop JUST THE GOOD STUFF @ Milepost 5 artist community in Portland, OR, wholesale at natural stores, at various shows, and local farmer's markets. Handmade or not handmade isn't really an option with me. Until I started my year around market. I would wait until summer for my favorite handmade items at the local markets, if I had to! I love that each piece has a story, an inspiration, a meaning to the person who made it. Handmade makes everything better and more savory (I say this because your question now has me salivating for the coconut curry soup that I buy at one of our local farmer's markets but I am at a different market so I don't get to buy it!). Handmade is unique. Handmade expresses personality. I would if I knew how!